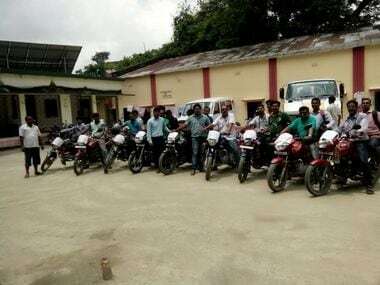 Till a fortnight ago, 18 doctors on 18 motorcycles were riding out to 132 flood-hit villages in Bainsa division of Purnia district to treat people taken ill with water-borne diseases. 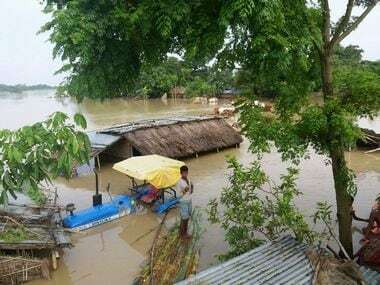 The August floods affected more than 1.3 crore lives in 21 districts of Bihar, killing at least 514 people. Purnia was one of the worst-hit districts. The 132 villages in the 16 panchayats of Bainsa division remained cut off from the rest of the state for 18 days. As water began to recede, the water-borne diseases struck, forcing the authorities to intervene. Purnia district collector Pradeep Kumar Jha and the superintendent of police took a motorcycle ride to some villages. "I and the district police chief went to take stock of the situation. We rode a motorcycle. It struck us that we should send doctors on motorbikes to provide health services to the flood-hit areas,” Jha said. So, a group of 18 doctors was formed. These 18 medical professionals divided the responsibility of 16 panchayats in the division among themselves and set out every morning in different directions. Dr Anwar Alam and his friend Dr Anjani Kumar were among the first motorcycle-borne doctors. So was Dr Srinand. The doctors carried medical kits, medicines, glucose biscuits and fresh water with them. Nurses and other paramedics rode pillion. ‘Operation Motorcycle Doctors’ started with 18 doctors but as the water receded more and more and the terrain became less and less difficult to navigate, the number of doctors was reduced in stages. Right now, four motorcycle-doctors remain on the job. “It was very noble of the doctors to agree to join in the effort,” said Bainsa Primary Healthcare Centre health manager Varun Kumar. He said every morning the motorcycle-borne doctors along with paramedics rode to the different panchayats to treat patients. Those who were too ill were ferried to hospital on the same motorbikes. On an average the doctors rode their motorbikes for up to 80 km daily. The motorcycles belonged to the staff of the district hospital and their relatives. "Bainsa had turned into a water-world. It was impossible to send an ambulance. So we decided to send a team of doctors on motorcycles," said Varun. Varun said the flood situation this year was particularly grim. That the doctors agreed to go on motorcycles to far-flung flooded villages was the saviour, he added. Dr Srinand said the team treated and provided medicines on the spot to more than 10,000 patients. "We were guided by senior civil surgeon and chief medical officer (CMO) Dr M Wasim. We faced many problems but at the end of the day, grit and determination won,” he told Firstpost. He said that the doctors brought many diarrhoea-hit children from Mangalpur village in Manjaukh panchayat to the healthcare centre. "Taking a child of 10 on a motorcycle is not much trouble but to bring elderly people on a motorbike is courting trouble," Dr Srinand said. Dr Wasim said working in flood conditions was a huge challenge but that his team had pulled it off with aplomb. The district incurred an expense of Rs 200 to Rs 250 on every motorcycle per day. "Initially, we had 18 teams working a radius of 80 km. Now we have four teams doing calls. The situation is returning to normal, thanks to our doctors who performed to their best," Dr Wasim said. The villagers are grateful. Badruddin of Fakir Tola said he had seen doctors driving around in cars but this was the first time he saw them riding motorcycles to make patient calls. "Doctor babu toh car se chalte hain. Pahle bar dekha hamare logon ke illaj ke liye motorcycle chalate. Badi dua lagegi inhe," he said. The senior citizen said the roads in Fakir Tola were bad and riding a motorbike on the bumpy terrain was difficult and painful, more so when the road was waterlogged. Bainsa division had, according to Census 2011, a population of 1.93 lakh, out of which 1 lakh were male. The literacy rate is 34 percent. Bainsa division has 16 gram panchayats with 132 villages and just two police stations.